Can Red Clover Help Fibroids? There is a great deal of conflicting information regarding the medicinal use of herbal supplements. 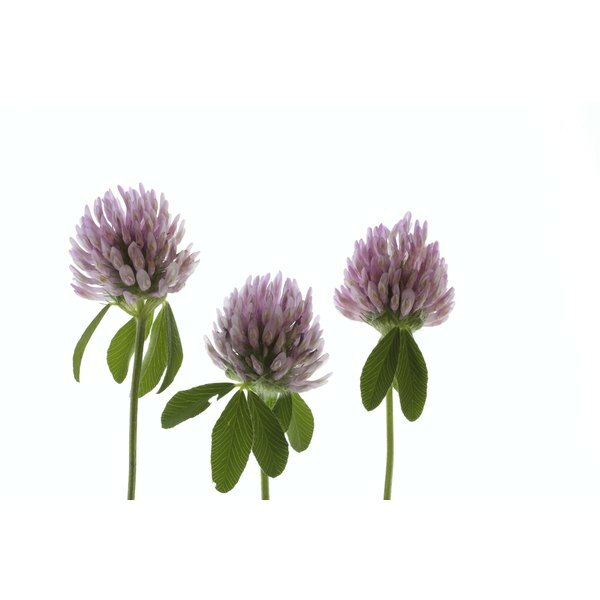 Red clover, along with other herbs such as black cohosh and dong quai, contain plant-based chemicals that work in a similar manner to estrogen within the body. Estrogen plays a key role in the creation and growth of uterine fibroids. Herbalists and holistic practitioners have used red clover for years to help with uterine fibroids, yet many researchers today believe that the use of red clover may exacerbate the condition. Always consult your physician before you take red clover or any other herbal supplement. Red clover grows in the meadows of Europe, North America and Asia. Herbalists use the perennial herb's dried red flowers for medicinal purposes. It contains nutrients such as chromium, magnesium, niacin, vitamin C and thiamine. People who use red clover could experience side effects such as headache, rash and nausea, though these are rare. One animal study found that animals who ingested large quantities of red clover became infertile, according to the University of Maryland Medical Center. Never use red clover without first discussing the risks and benefits with your physician. UMMC explains that red clover also contains chemicals known as isoflavones, which produce estrogen-like effects in the body. Thus herbalists use red clover to treat conditions where estrogen plays a part, such as for menopausal symptoms, irregular periods and premenstrual syndrome. Uterine fibroids are noncancerous growths in the uterus. These growths develop from the muscle tissue and can vary in size, from smaller than a marble to large ones ranging up to 6 inches in length. The American Congress of Obstetricians and Gynecologists states that, as of 2010, researchers are still unsure of what causes fibroids, though they believe the hormones estrogen and progesterone play a role in their growth. Symptoms of uterine fibroids may include heavy menstrual bleeding that can lead to anemia, rapid increase in fibroid size, infertility, pelvic pain and bleeding between periods. The use of red clover to treat uterine fibroids may produce mixed results, according to researchers. Research has shown that an increase in estrogen will likely increase the size of uterine fibroids. However, research also shows that an increase in estrogen causes a decrease in symptoms such as heavy bleeding, which can reduce the likelihood of women developing anemia. Many physicians prescribe estrogen or birth control pills containing estrogen to help treat the symptoms of uterine fibroids, according to ACOG. Because red clover contains estrogen, herbalists believe that it will work in a similar manner as birth control pills and help women treat their fibroids without the side effects often associated with prescription medications. However, as of 2010, no human trials have produced solid evidence showing that red clover can treat uterine fibroids as effectively as prescription medications.